It’s Monday and typing away in Belong on Kennedy Avenue in Macclesfield after a late lunch and a load of work in pleasant surroundings using the wifi; soon to head to mother to pick up Ted. A poignant moment prior to lunch as I met with the lovely Martin Holden from the local estate agents over the disposal of Dad’s maisonette. Well the weekend saw The Boss and I run as a pair in the Short Score Event at the ROC. For the non-initiated, or those who are not plain stupid enough to do the ROC, the format is as follows. 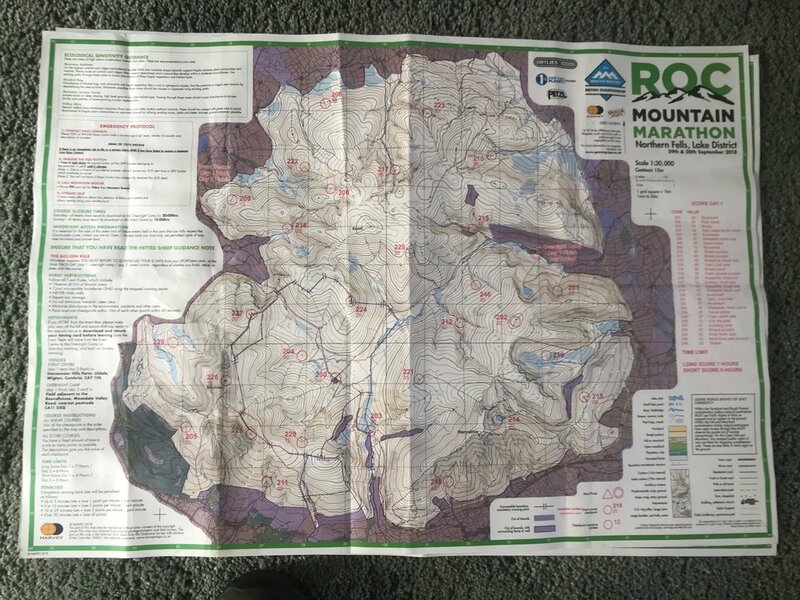 “The ROC Mountain Marathon™ is a two-day fell running and navigation challenge for solos and pairs with an overnight camp.” That’s the blurb from the official website, which makes it sound charming. It can actually be summed up as follows. It was around 1pm yesterday and The Boss and I were on a steep, craggy hillside (White Hause to be exact), in horizontal freezing rain trying to find a checkpoint with the clag having come down, whilst trying not to fall to our deaths and have a divorce at the same time. Apart from that all was fine, including the 20 minute pelt off road to the finish to luckily be only a minute late and lose one point. 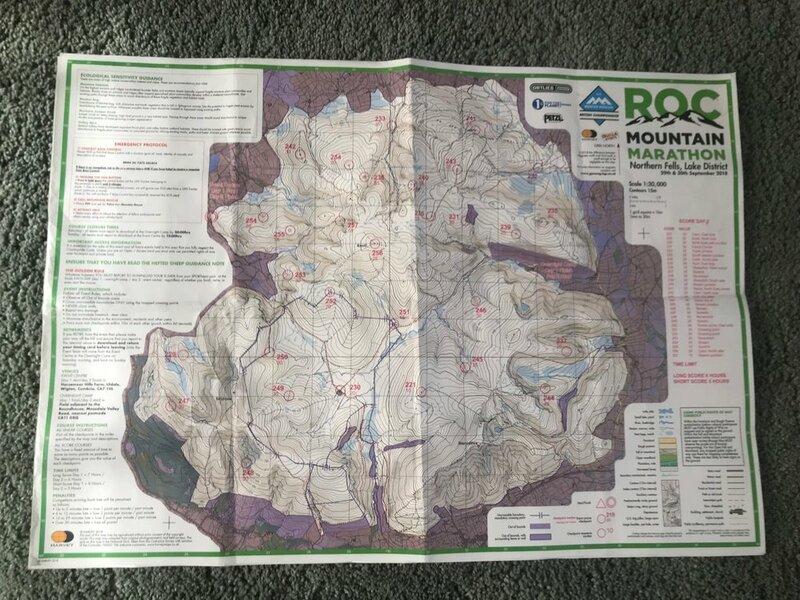 To be precise the ROC is two days of fell running with navigation with an overnight camp; demanding with different types of course you can enter, as solo or pair, you can use the event as a 2018 British Mountain Marathon Championship ranking (The ROC is 1 of just 3 Mountain Marathons eligible). It was the Northern Lakes this year with a start next to Brassenthwaite village, only announced last minute so you can’t practice. Also, NO GPS, with phones etc. all sealed up in security bags. Claire was happy at my not having my phone. I sulked, she was happy. You can see the routes we took as follows. We were Short Score event, pair, surname Cobley. Considering we were not racing it, using it for practice, and Claire had an injured ankle from rolling it Wednesday night, we did well. Results for the ROC 2018. Over the two days we came 53rd out of 107 teams, some of which are the best in the country and the continent. So very happy. What’s it like? Highly recommended if you are a fell or mountain runner who has never done one. Throw yourself into it as a personal ordeal with stunning scenery and a real chance to lose yourself. Footnote: Mr Paul Taylor. Next time you are in your tent like a cute caterpillar at the half way camp, if you wear your glasses then you won’t think you are haranguing complete strangers.